It is that time of year for the hustle and bustle of the Holiday Season. 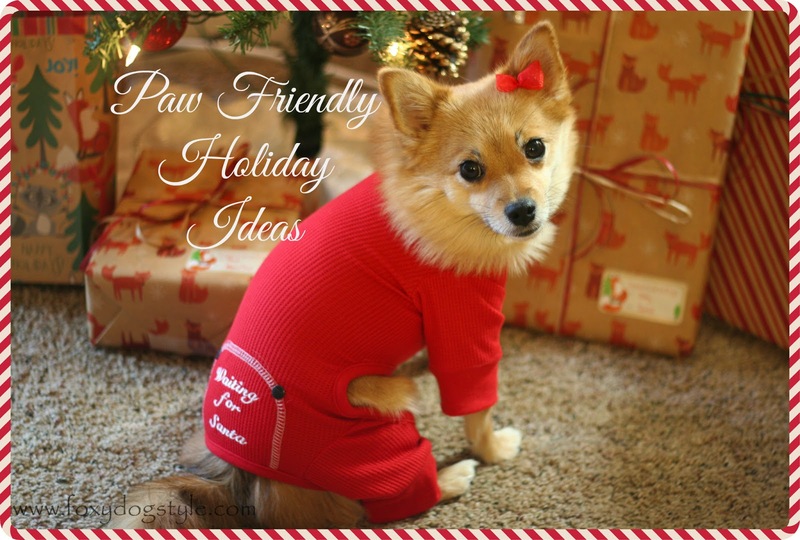 There is shopping, changes in the home, travel, and guests which can make it both a fun and potentially stressful time of year for the paws. 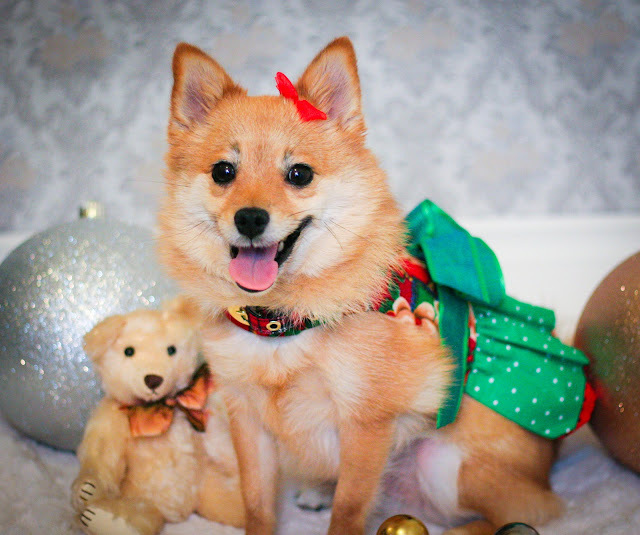 We have come up with some fun ideas and traditions to consider this Holiday season to involve your fur baby as well as make sure they don't get overlooked in the seasonal rush. After all they are family too right? We hope you enjoy these ideas as much as we do and would love to hear about traditions you have created to involve your fur kids!! Baking homemade pup friendly treats is a great way to give your paw something special and make up for the 6 hours they spent hoping you would drop something during your Holiday-cook-athon. Many tree lots are dog friendly and won't mind if you bring your fur child with you to sniff out the perfect tree. Tree Farms are even more fun, as it can turn a tree hunt into a lovely walk as well. Just make sure your paw is on a leash and doesn't "water" the trees. Holiday cards are all about family right? Therefore, it is my firm belief your fur baby should also be included in this tradition. Or if you are like us, your paw is so fabulous she needs her own card altogether, plus Daddy is really camera shy. Make sure you have some tasty treats ready if sitting and posing are not your paws idea of a great time. Have to mail some Holiday Cards? Make it a walk! Try and find some reasons to get out and walk, even if it is a short trip. There are so many ways to include your fur family member in your Tree traditions, including making them a special ornament. 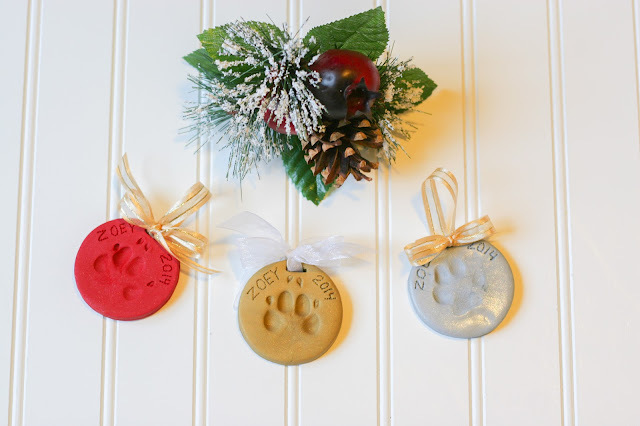 There are photo frames, paw themed ornaments or a custom ornament made from their paw print. 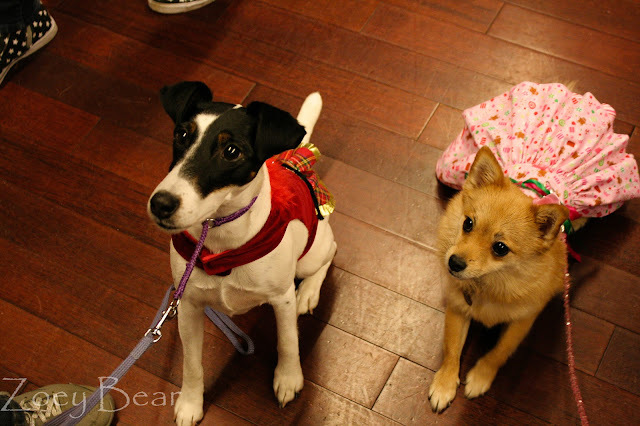 There are quite a few stores that will allow you to bring your well behaved paw with you. If you are a small paw, you may fit in a purse or duffle bag, or also a stroller is a nice idea for hands free shopping and sometimes helps to get retailers more comfortable with the idea. Some of my favorite Paw friendly stores are Nordstrom, Anthropologie, Home Goods, Hobby Lobby, Michaels, Kate Spade, Bloomingdales, and Urban Outfitters. If you live in a sunny climate with outdoor malls, many of these are welcoming to paws as well. One of Zoey's favorite activities is spending a few hours in doggie daycare while I go shopping. Many daycares offer partial day rates as well. Make sure you do your research prior to dropping off your paw because not all daycares are created equal. Your paw needs to be sociable with others and up to date on all vaccines to play at daycare. We visit Santa every year during one of our favorite community rescue events, but you can also take your paw to visit Santa at the mall too. 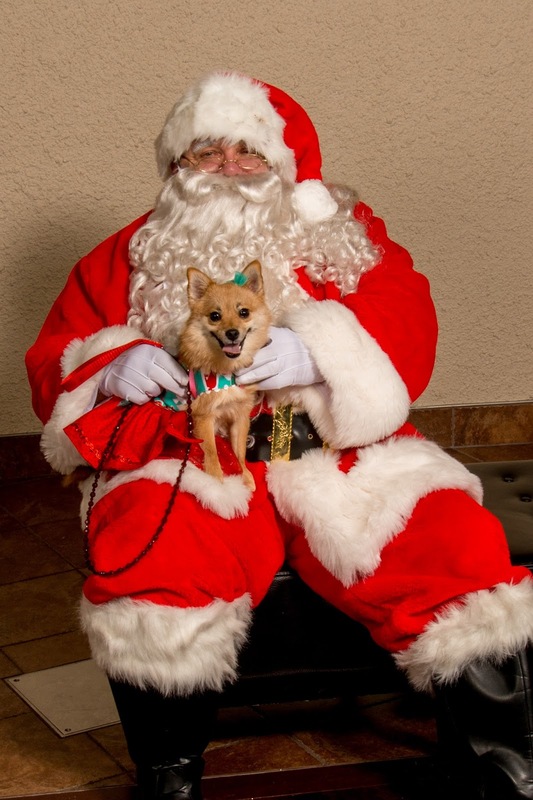 Most malls designate "Paw Santa" days or hours, and you can walk right in and get your picture taken. Make sure to slip Santa some treats so your paw gets comfortable with the big guy. Snow can be so fun and interesting for the paws! New textures, smells, and it is cold. Zoey's favorite snow play game is biting and chasing snowballs. Make sure to limit snow-play to your paws tolerance and give them time to explore it first before taking them through any snowdrifts.... Dress accordingly, and clean those paws after, because hard ice hurts! Paw Plunger is a handy invention to clean paws off so they don't lick any De-icer off. 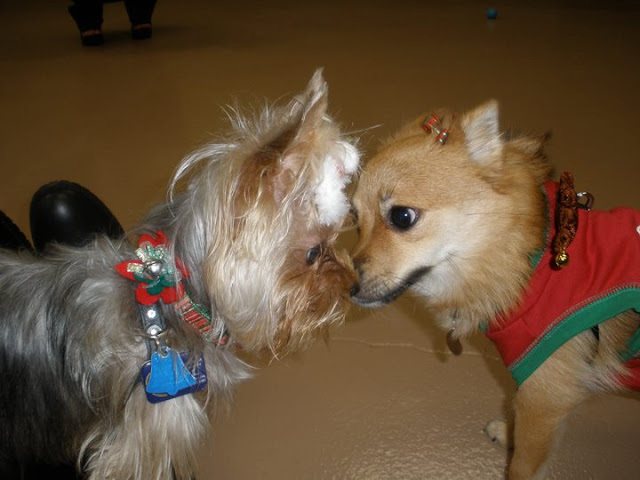 Many local dog rescues and Humane Societies hold annual Christmas parties and charity events this season. Not only is attending a great way to support the local Paw rescue community, but they are also dog friendly and a great opportunity for your paw to socialize. 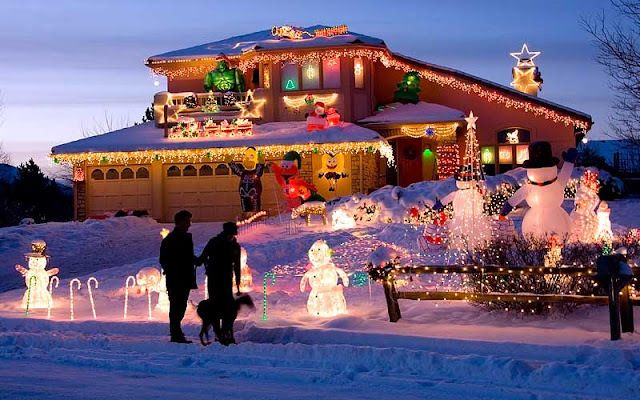 One of my favorite family traditions is to take a trip to view the neighborhood lights and decorations with a hot cup of cocoa or apple cider. Depending on your weather you can either walk or drive. Your paw may not appreciate the visual aesthetics but will appreciate being included! Make sure your Paw knows which stocking is theirs so they can be appropriately excited. We find letting them open first allows them to have fun, feel special, and get involved with their gifts. Plus it allows the paw parents to open their gifts as well. Does your paw have a best buddy down the street? 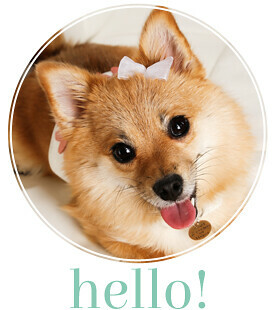 Maybe you have a meetup play group you can draw names or assign an exchange between the family paws. Your paw can help you pick out the gift and will love when they get to open theirs! Whew that was a big list! Last but not least, make sure you designate a special area with your paws favorite bed or blanket if they get tired from all the fun and Holiday craziness. 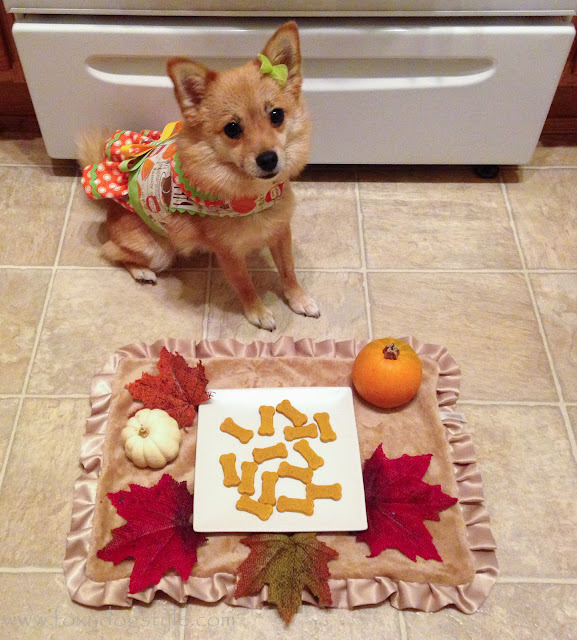 Do you have similar traditions you include your paw in as well? We would love to hear your ideas too!